Skincare and cosmetics brand Beautycounter opened its first brick-and-mortar store on Prince Street in New York City’s SoHo neighborhood. The Santa Monica, Calif.–based company develops and distributes its own skincare, color cosmetics, advanced anti-aging, kids, baby, and personal care products. "If our mission is to get safer products into the hands of everyone, we have to be able to meet customers wherever they are shopping. We know that our story is best told person-to-person, and we are thrilled to add a physical retail store to the progress we've made in educating consumers and advocating for better beauty," said founder and CEO Gregg Renfrew, in a press release. Since its launch in 2013, Beautycounter has attracted national attention with its focus on cosmetic reform. Beautycounter has prohibited the use of more than 1,500 questionable or harmful ingredients, well beyond the 30 banned by U.S. law. Beautycounter also works extensively at the federal level to improve transparency and accountability of the beauty industry, and advocates for stronger cosmetic safety laws which have stood largely unchanged since 1938. The 540-square-foot store will stock Beautycounter's full collection. In addition to product, the store will provide a hub of community engagement for advocacy and education. Design elements are borrowed from the brand's modern California headquarters, mixed with references to vintage New York City. Visitors will have the opportunity to converse and sample brand favorites while seated at an old-school beauty counter (a nod to the brand's name and reminiscent of stores past). Also, customers are invited to join in Beautycounter's advocacy efforts. 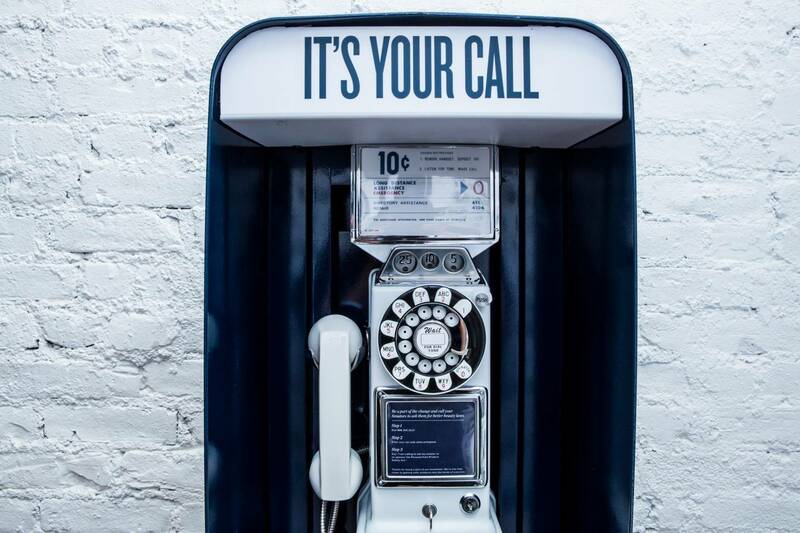 A neon sign that reads "It's Your Call" will point to a custom New York City phone booth, complete with a branded "blue pages" phone book with the names and numbers of every member of Congress. In under a minute, customers are automatically connected and can read a provided script to lend their voices in support of better beauty laws. 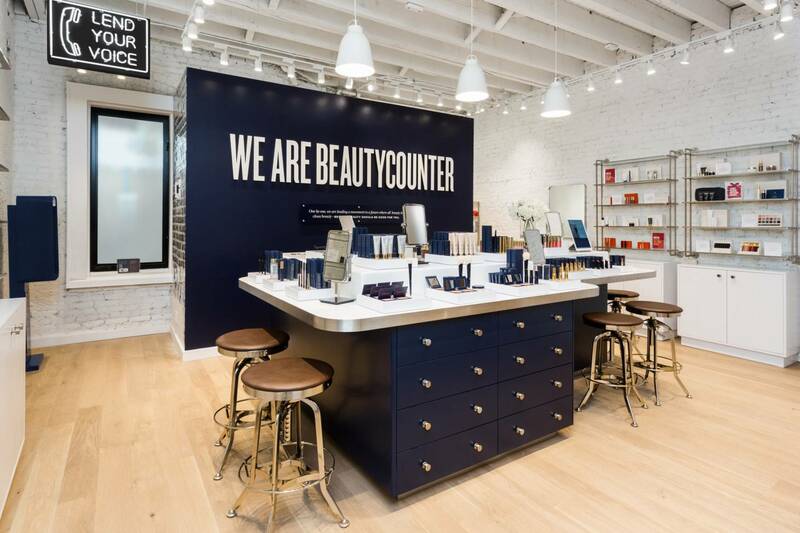 Beautycounter will offer multiple points of education to guide visitors in making safer and more-informed choices in their lives beyond the store. iPads will highlight facts on the clean beauty industry and give a deeper dive into Beautycounter's rigorous ingredient selection process, product reviews, FAQs, and new launches. Wallet-sized cards with the top 30 most-harmful common ingredients will be available for customers looking to make safer swaps with the products they already own. 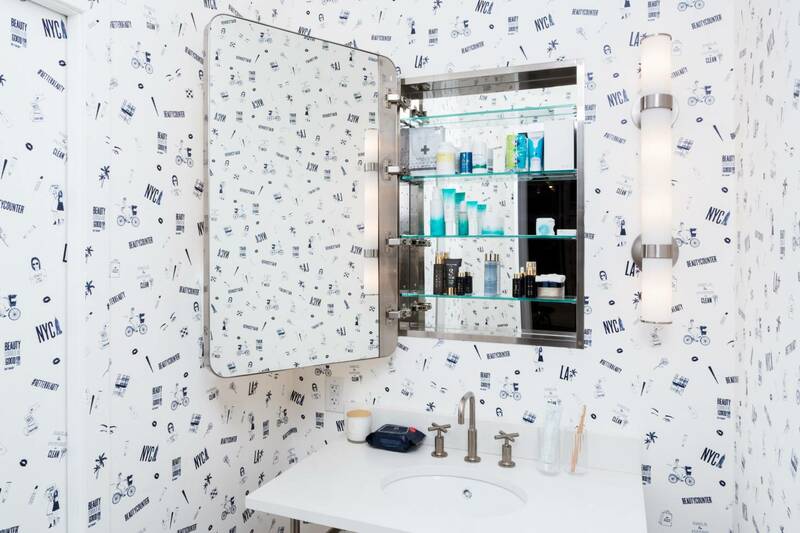 To help customers establish a cleaner routine in their own homes, Beautycounter staged a museum-like washroom to see suggested replacements from like-minded personal-care product brands, and will supply takeaway "clean maps" to suggest similar businesses in the area. The theme of "cleaning up the industry" will be brought to life in the store and in the brand's first full marketing campaign around New York City throughout the season. In addition to out-of-home marketing with bold phrases like "Beauty Should Be Good For You" and "Beauty Comes Clean," Beautycounter hosted a subway "cleanup" on October 27 and plans to do more cleanups throughout the neighborhood. 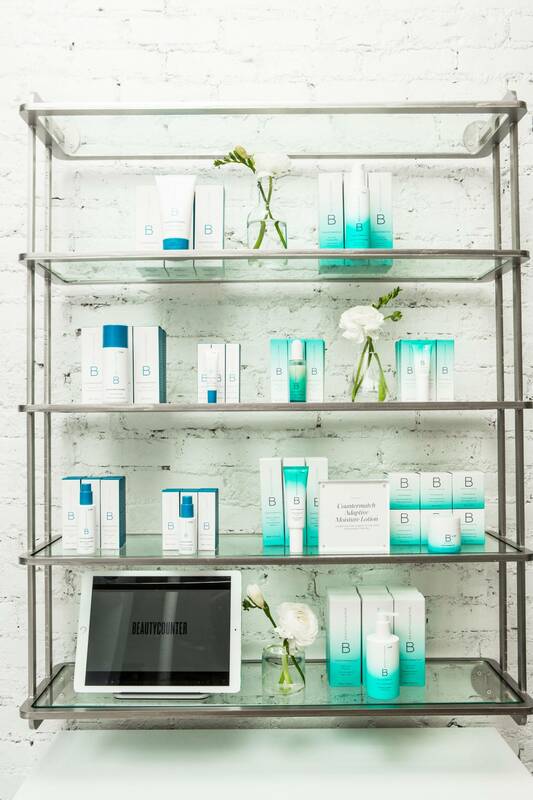 Beautycounter is sold at beautycounter.com, in seasonal pop-up shops, and through a network of approximately 35,000 independent consultants.